Here are three textured manis I've done recently. The first is just a straight up textured mani. The color is julie g sugar rush. 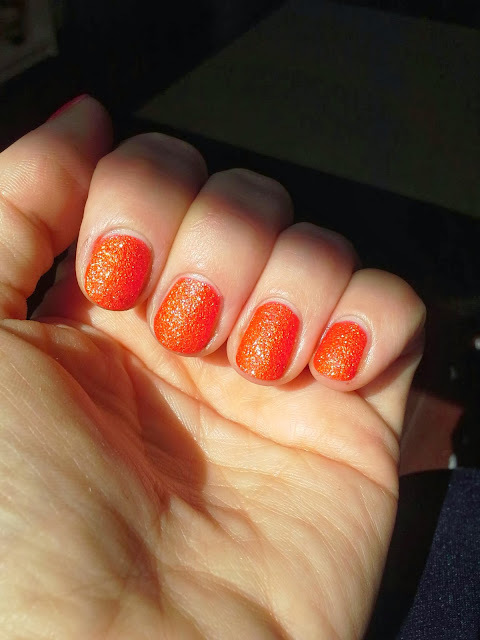 I love the textured finish of the julie g gumdrop polishes, I can't say the same for the sally hansen sugar coats, which is an entirely different story. 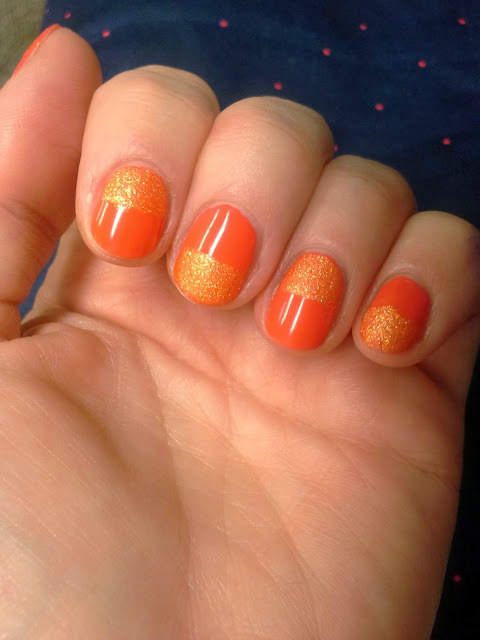 My second take on the texture mani is a gradient. I used two julie g polishes for this one. The darker color is julie g sugar rush, the lighter color is tangerine dream. 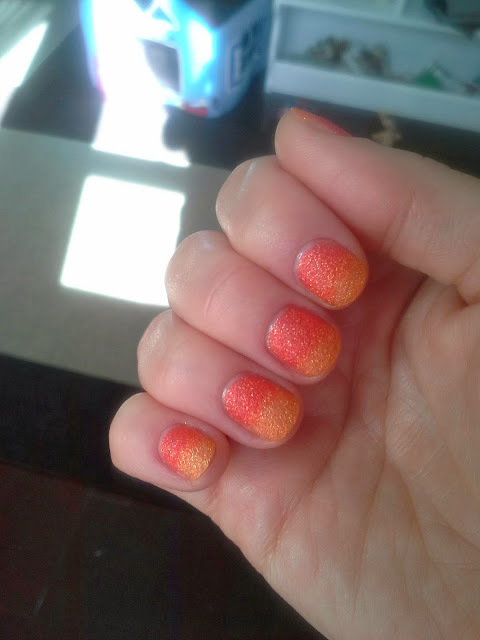 I didn't use sponges or anything for the gradient, the texture of the polishes helped it to blend seamlessly. My third mani uses julie g tangerine dream and rimmel hot chilli pepper. I love how the texture and smooth shiny polish contrast when paired on the nail.